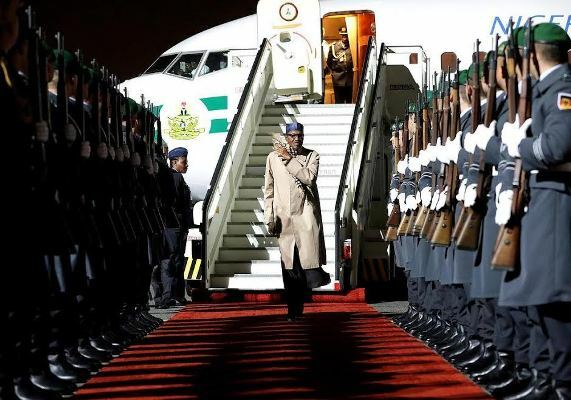 President Buhari has arrived Berlin for his three-day official visit to Germany. 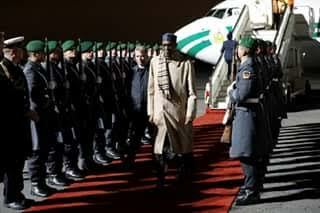 While in Berlin, President Buhari, will meet with German Chancellor Angela Merkel on issues of shared interests between Nigeria and Germany, including further cooperation on security, the humanitarian situation of Internally Displaced Persons (IDPs) and rehabilitation of the North-East, as well as trade and economic relations between both countries. President Buhari is accompanied by Governors Kashim Shettima of Borno State and Rochas Okorocha of Imo respectively and representatives of the National Assembly, they will meet with Federal President Joachim Gauck. In furtherance of the administration’s objective to attract more foreign investment and create economic opportunities in the country, President Buhari will participate in a Business Forum in Berlin with leading German companies already active in Nigeria and other prospective investors. 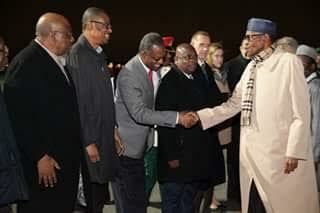 Before returning to Abuja, President Buhari is expected to meet with representatives of the Nigerian community in Germany.